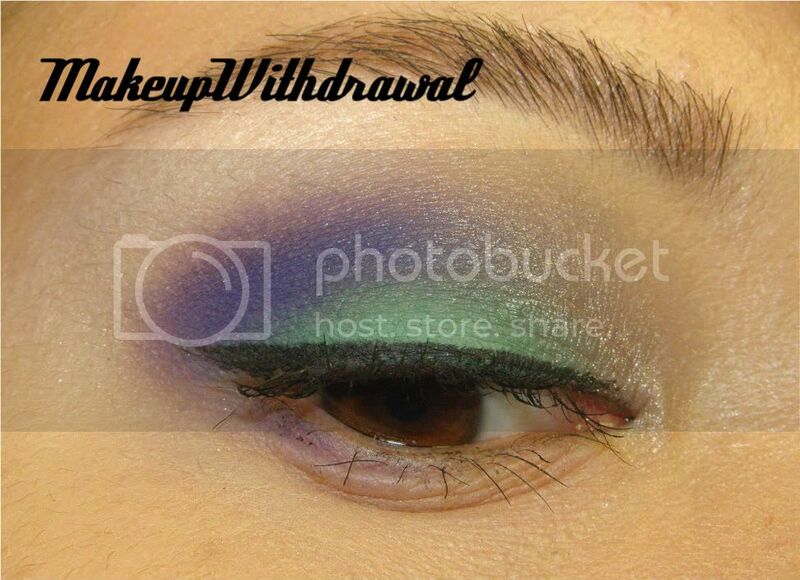 Here's another quick EOTD I did today with my I [Heart] Matte palette. I really can't tell you how much I love the jade shade. It's so perfect in every which way. I used the purple as almost an after thought. 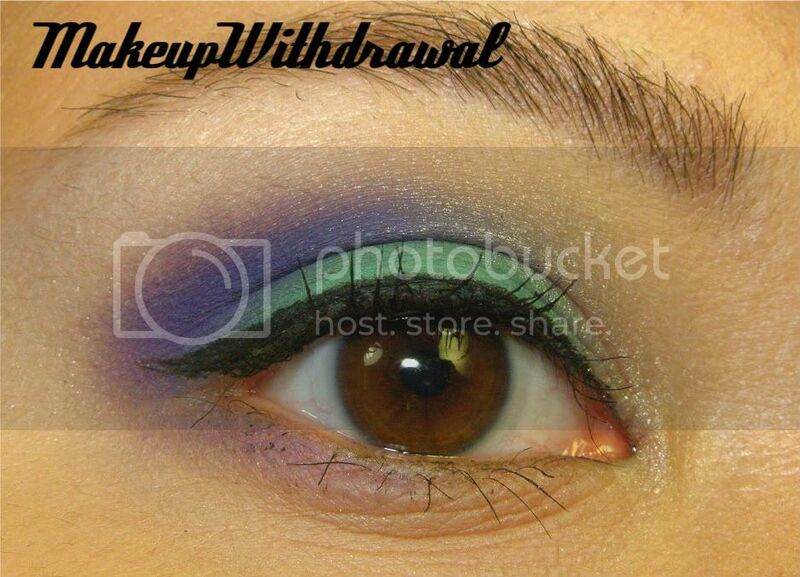 Now that I'm looking at pictures of this EOTD, it makes me wish I would have applied liner on my lower lash line as well as the top. Oh well. Perhaps next time. I think I'm going to try to use the blue shade next, it's the only color I haven't touched yet in this palette!